Opening for UK folk legend Michael Chapman! 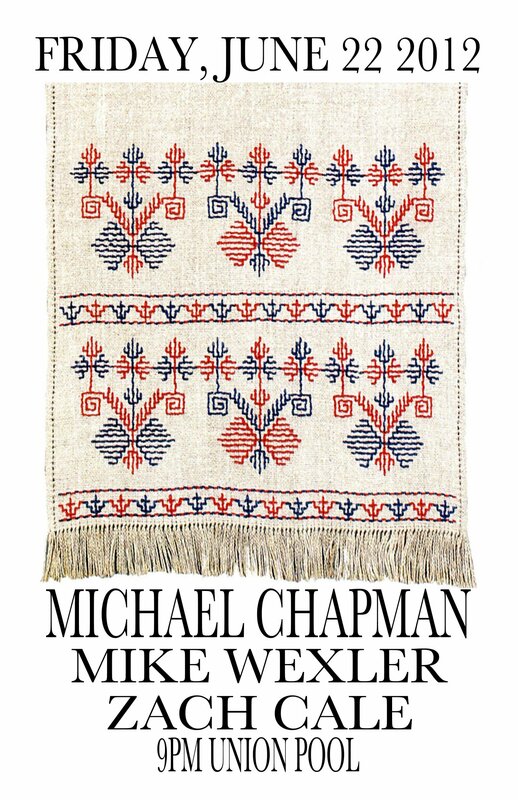 I feel honored to be supporting the legendary Michael Chapman this Friday at Union Pool. For those don’t know Mr. Chapman has been releasing amazing folk/rock/guitar based records since 1969 (Light in the Attic records has recently reissued his first two albums). He is (without a doubt) one of the greatest living troubadours. I’ll be opening the night at 9pm. Mike Wexler, a musician of extraordinary talent will be following my set. The night will be concluded by a solo set by Michael Chapman. Seriously… I wouldn’t even being playing the music I do if this guy hadn’t thought of it first. Don’t miss this!